SmartFrame Plus technology takes compartmentalization to the next level. No other school bus seat manufacturer offers anything like SmartFrame Plus. 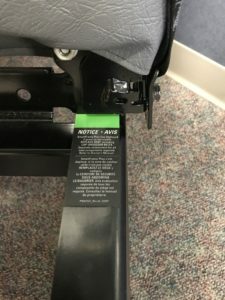 Designed to protect both belted and unbelted students in a crash, SmartFrame Plus enhances compartmentalization and provides a new and improved way to determine if a seat needs to be replaced after a crash. SmartFrame Plus has two design elements that transform during a crash: The Smart Bracket and the Smart Arm. During a crash, the Smart Bracket and Smart Arm transform like a kickstand. This creates a balance between a seat that is too loose, minimalizing compartmentalization protection, and one that is too rigid, which can result in injuries to unbelted passengers and launch them out of the compartment. SmartFrame Plus stiffens the frame, manages energy, and prevents crushing of the belted occupant. It also provides the needed protection for unbelted occupants hitting the back of the seat. The Smart Arm will bend, absorbing energy and locking the Smart Bracket in place. If your school bus is in a minor accident and you aren’t sure if Smartframe Plus has deployed, you can check the TattleTale™ indicator under the seat. If green is visible, then SmartFrame Plus is still in place. When Smartframe Plus does deploy, you will not see any green, and the seat should be replaced. SmartFrame Plus technology is available on our SafeGuard FlexPlus line of seats. 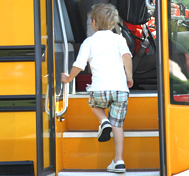 How do you know if you need to replace a SafeGuard seat after a school bus crash? Click here to learn more.